I spend my semester abroad in Växjö (vɛkɧø…yes it is as difficult to pronounce as it looks). 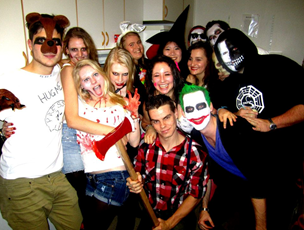 I lived in a student house in the city called Vallgatan. It was a dorm room, sharing a kitchen and living room with 15 other international students. This sounds much at first but was awesome. Since most of the students came alone we quickly grew together to some kind of big family. 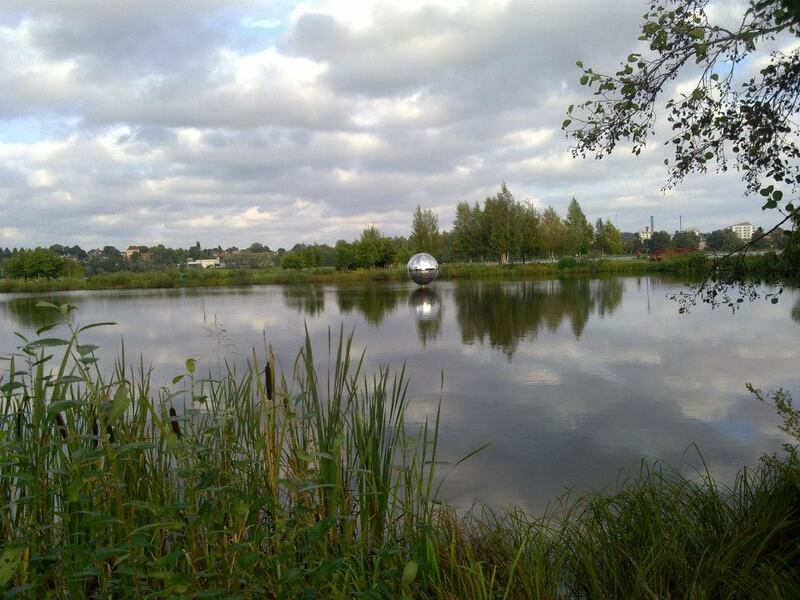 Växjö is the city of lakes, so directly in front of our house, and along the way to the university are lakes located in which (when it is warm enough or if you don’t mind freezing) it is possible to swim and “touch the discoball” (standing in the middle of one of them). After a 15 minute bike ride (or bus) you are at the university offering a lot of facilities like a big gym, restaurants, a library, two clubs etc. The buildings are all really new and modern. The Swedish system is different than the Dutch one, it is only one course at a time for a few weeks (usually 4 to 5) followed by an exam or paper. My courses were a lot of work but there was always enough time to socialize and travel as well. The lecturers were mostly good and interesting to listen to, which of course always depends on the course choice.